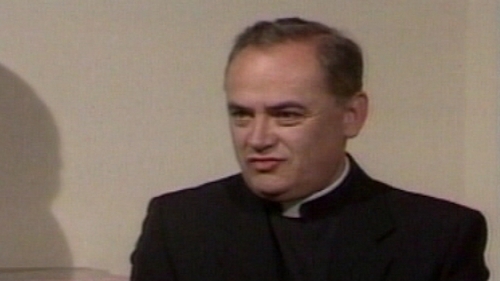 A priest in east Cork has called on his former bishop, Dr John Magee, to publicly answer questions about criticisms in the Cloyne Report of his role in hiding allegations of clerical sexual abuse from the civil authorities. 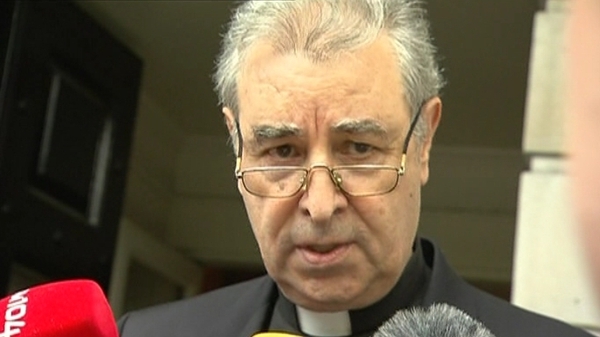 Father Joe McGuane also urged the country's Catholic bishops to reveal the names of the six dioceses where the church's own child protection watchdog has completed audits of child protection. Fr McGuane warned Dr Magee to speak to the media before he is tracked down. The Cloyne Report, published four weeks ago, found Bishop Magee responsible for his diocese's failure to tell the civil authorities about nine out of 15 allegations of child sexual abuse against a number of his priests. Immediately, Bishop Magee issued a statement of apology and accepted the report in its entirety. But since then, his spokesman has been telling journalists requesting interviews that his whereabouts is unknown. Fr McGuane recalled the case of Bishop Eamon Casey who, following a scandal about fathering a son, was found by an Irish journalist in Latin America. Fr McGuane, who is a hospital chaplain in Youghal, also urged the country's Catholic bishops to reveal the names of the six dioceses where the church's own child protection watchdog has completed audits of child protection. He supported Archbishop of Dublin Dr Diarmuid Martin in his call on the bishops concerned to publish them. Bishop of Raphoe Dr Philip Boyce has promised to publish the findings about his diocese by the National Board for the Protection of Children in the Catholic Church. The Apostolic Administrator of Cloyne, Dr Dermot Clifford has said he will convene a meeting of his diocesan priests early next month to discuss reaction to the Cloyne Report. A spokesman for the Archbishop said the timing of the planned meeting was to accommodate holiday arrangements. Dr Clifford was responding to criticism by the Association of Catholic Priests in Ireland of his failure to call clergy together since the report's publication a month ago. Archbishop Clifford's spokesman also said that at least four meetings of diocesan priests were held during the two years leading up to the publication. He said they were addressed by experts in the healing of victims, public relations and child protection.